We Care for Cleveleys! We’ve got a great community in this town and we want to celebrate what you, your business or organisation is doing to keep this lovely place great – and make it even better! Would you like a Sticker? Share your stories – large or small – to appear here* – and get a window sticker! Cleveleys Coastal Community Team are working hard to make a difference and want to see these displayed in shop windows, cars, schools, offices – everywhere! They’re for business owners, employees, teachers and members of the public. Lots of us do lots of things in different ways that all add up to make Cleveleys great. It doesn’t matter how large or small you act of thoughtfulness is, because everything that you do adds up to make a much greater whole. Remember the poem, ‘All for the want of a nail…’ Your small acts all add up to keep Cleveleys vibrant and prevent our town centre from failing. Do you pride yourself on keeping your shop front clean? Is sweeping the litter up at the front of your shop your first job in a morning? Have you been watering the plants in the town centre? Are you the ‘skip police’, maintaining order with the waste at the back of your shop premises? Do you pull weeds up when you see them? Cleveleys Coastal Community Team has produced a window sticker for you* to display where everyone will see it. All you have to do to get one is to do something that makes you part of the community. 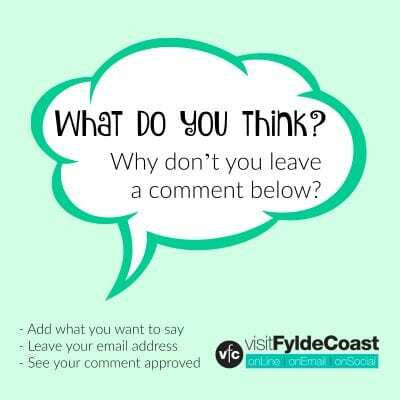 Post what you’ve done in the Care for Cleveleys Facebook Group, or email jane@theRabbitPatch.co.uk and we’ll get a sticker to you.  Show your customers that ‘We Care for Cleveleys’! Uppercrust – give the Town Centre team brews, water the plants and so much more! Northfold School – children help with clean ups, they’ve made cigarette bins, written to the council to ask for litter bins, and done all sorts to help! Uppercrust – look after the Town Centre Team with brews, waters the plants and have been a brilliant help! WH Smith – have cleaned up the glass in their shop window, and my does it look better! Cleveleys might not have a Town Council, but it does have the Coastal Community Team. Plus there are groups and pockets of people who work together to do their best for the local area as a whole. Substitute the ‘nail’ for ‘a bit of thoughtfulness and taking responsibility’ and it’s a perfect analogy for how doing your own little bit makes a whole world of difference! Plus, it’s much easier to take action now, rather than wait for failure to arrive and not be able to do anything about a much bigger problem. Just in case anyone wondered, it’s a small team of volunteers with limited resources, which, through necessity is being concentrated on the town centre. 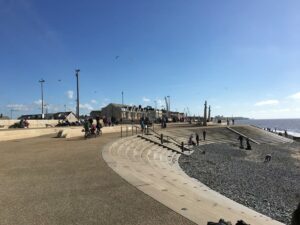 If your residential or business area in Cleveleys is doing something positive you’re more than welcome to join in the ‘Care for Cleveleys’ campaign and your achievements will be documented here. Rossall Beach Residents & Community Group look after the shingle beach beyond the end of the new sea defences and up to Rossall School. It’s a friendly group which everyone is welcome to join. They beach clean, hold meetings and do lots of different things which are community based. Cleveleys Car Show is a big event which is designed to showcase Cleveleys and attract people to the town centre. It’s run on an entirely voluntary basis by a group of local businesses and attracts tens of thousands of people to the town. Light up a Life is the Cleveleys Christmas Lights Switch On event. It involves the schools and community groups in a show of festive community spirit and remembrance. Cleveleys Chat Group meet at The Regal each Friday and Saturday morning. There’s no membership, it’s just a time and place for people to turn up for some company and to make friends. Cleveleys Community Centre is off Beach Road, at the back of the public car parks behind the bus station. It’s an old junior school, converted into a welcoming community centre and a popular hub for lots of activities and groups. Local libraries are community meeting places where you can join in with regular activities and one off events and get to know people. In this area there’s Thornton library and hopefully Cleveleys library will also reopen. The Rossall Beach Group is also a good place to get to know people and find out what’s happening in the local area. You don’t have to be an eco warrior and there are lots of chances to have a natter! 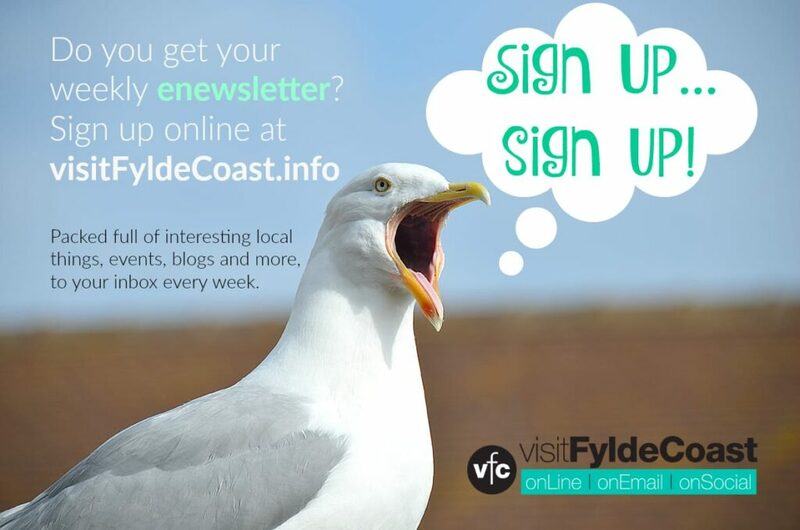 Just for the avoidance of doubt, businesses are not expected to advertise with Visit Fylde Coast in order to be included in promotion for Care for Cleveleys. Visit Cleveleys is not being paid to promote the work of the Coastal Community Team.